WHY DID YOU CHOOSE WARTBURG: I chose Wartburg College for the opportunity to receive both an excellent athletic and academic experience. The experience has been great because it has allowed me to truly find what I am passionate about in not only a career path but also in life in general. Along with that, Wartburg has given me some of my best friends because of the culture and atmosphere within the soccer program. Not only that, but it has also allowed me to build so many great relationships that have pushed me and challenge me to be the person I am today in the position I am today. WHAT IS THE ONE THING YOU NEVER IMAGINED YOU WOULD DO BEFORE COMING TO WARTBURG: I never believed I could have such a large impact on so many other individuals around me. I am thankful and blessed to have been able to be in multiple leadership roles regardless of the environment it was in because ultimately it is something that has pushed me and challenged me to become a more positive individual and has shaped me in a positive way into the person I am today. DID YOU COMPLETE ANY INTERNSHIPS: I was a marketing and sports information intern at Metro State University of Denver and a tax intern at Transamerica in Cedar Rapids. 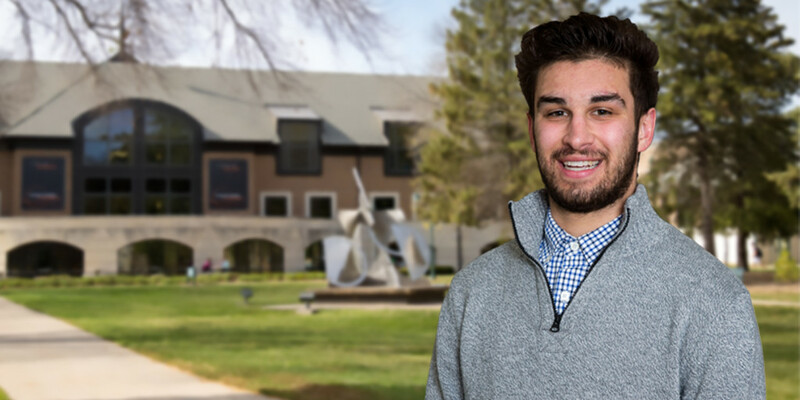 HOW ARE YOU LIVING OUT THE WARTBURG MISSION: For me, I live out the mission through the way I try to carry myself and try to be a positive individual every day. Although that can be difficult at times, I have realized that having a positive influence and impact on the lives of others is something that keeps me motivated and ultimately has a positive impact on my own life. WHAT ARE YOUR PLANS AFTER GRADUATION: I will be working as an audit associate at BKD CPAs & Advisors in Des Moines.